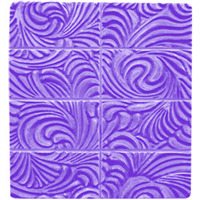 Bar Depth: 1.25" Bar Length: 2.55"
The word brocade – coming from the same root word as broccoli! 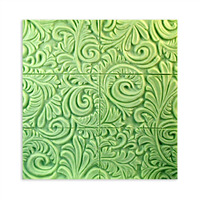 – means embossed cloth and has been a popular tapestry technique since the middle ages. 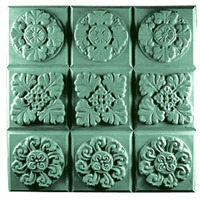 The Brocades Soap Mold Tray features three elegant brocade designs and makes nine soap squares. 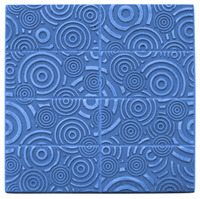 Bar Depth: 1.13" Bar Length: 2.25"
Inspired by Op Art – and possibly targets – the Bubbles Soap Mold Tray will make eight swirly soaps. 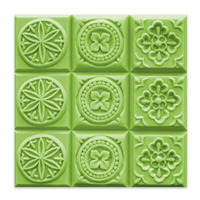 You can even use it to hypnotize a muddy gardener or messy kid into cleaning up! 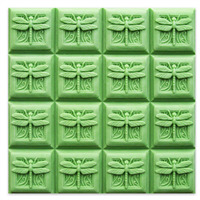 Three unique butterflies are centered in the square, one in each cavity. 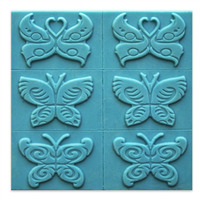 Not only is the butterfly a beautiful creature but it also has been known to symbolize many things such as change, life and hope. 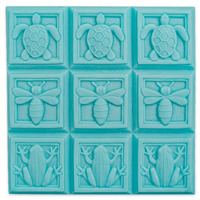 We’re crazy in love with this playful mold! 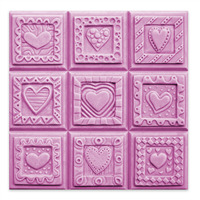 The Crazy Hearts Soap Mold Tray features nine contemporary, playful heart designs, making it perfect for Valentine’s Day, weddings, or anywhere you need some affection. 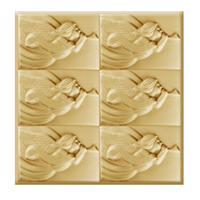 Bar Depth: 1.125" Bar Length: 2.265"
Dragons symbolize power, strength, and good luck in Chinese mythology. 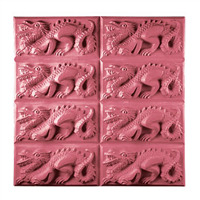 The beautifully detailed Tray Dragon Soap Mold makes eight exquisite soap bars. 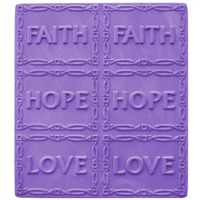 The Faith Hope Love Soap Mold Tray features all three words, each surrounded by a beautiful Art Déco border. 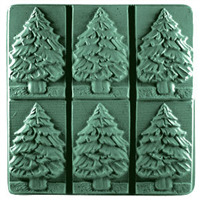 This beautiful fir tree looks like it’s all ready to be decorated for the holidays, making it perfect for Christmas or for anyone who just loves the outdoors. 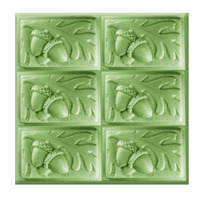 The Fir Tree Soap Mold Tray makes six beautifully detailed bars. 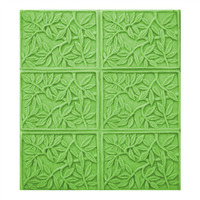 Wallpaper has made a stunning comeback in recent years and we’re happy to celebrate this timeless classic with the Floral Wallpaper Soap Mold Tray. 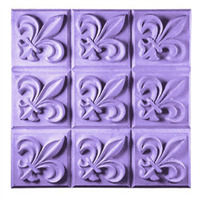 This vintage Baroque floral leaf pattern will lend a touch of Palace of Versailles opulence to your soaps. 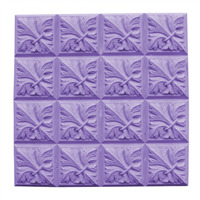 Bar Depth: 1.125" Bar Length: 2"
Nothing says summer like a slice of fruit to keep you refreshed on a hot day. 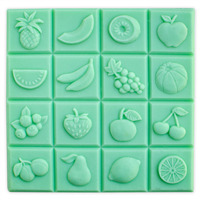 With the Guest Tray Fruit Soap Mold, you get 16 beautifully designed fruit shapes. 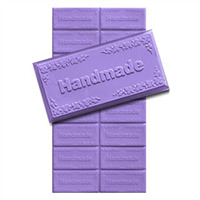 Beveled edges make it easy to cut the soap into smaller squares. 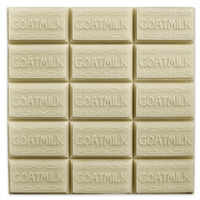 Make way for yet another goat in the Milky Way fold! 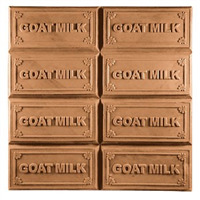 We’ve gotten many requests for a guest-size goat bar so we’re happy to oblige. 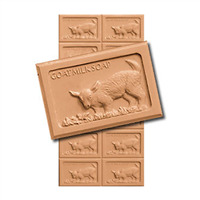 Bar Depth: 0.875" Bar Length: 2.5"
What better way to advertise the special ingredient in your goat milk soaps than by letting folks read GOAT MILK right on the bar? 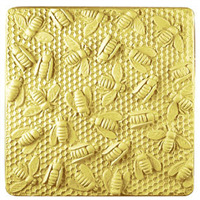 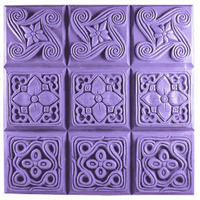 The Goat Milk Soap Mold Tray also has a simple floral border and makes eight rectangular bars. 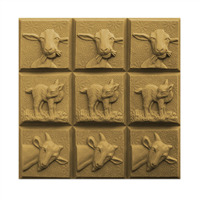 We think these three goofy goats will put a smile on the face of even the most stubborn ruminant. 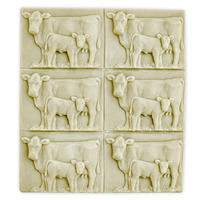 The Three Goats Soap Mold Tray features a noshing nanny, a cute kid, and a silly billy poking his curious nose around the corner. 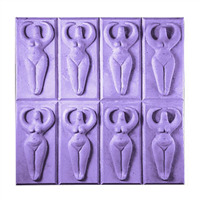 Based on the Nile River Goddess figurines of ancient Egypt, the Goddess Tray Soap Mold is beautifully crafted with the same divine blend of bird, woman, and deity. 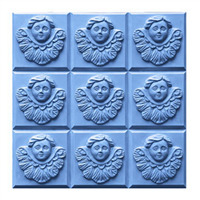 Makes eight spiritually enlightening bars. 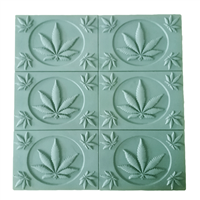 Inspired by on medieval gothic tiles from the 13th century, the Gothic Florals Soap Mold Tray features three detail-rich floral and leaf designs. 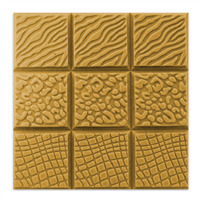 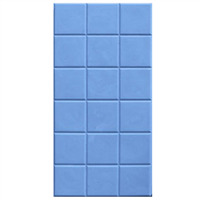 Makes nine square bars.